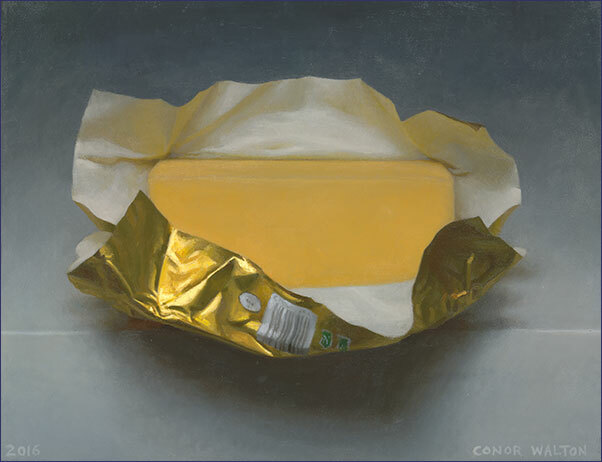 RHA Annual Exhibition features 'Butter' by Conor Walton. 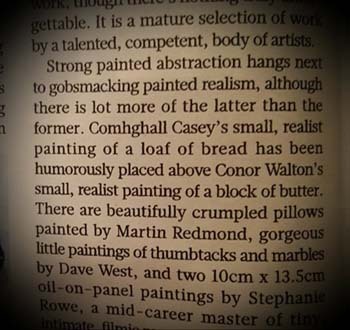 The RHA Annual Exhibition is the largest open submission show of art in Ireland, and this year included Conor's painting 'Butter' (right), which was picked out as an example of "gobsmacking painted realism" by the Sunday Times critic Cristin Leach. 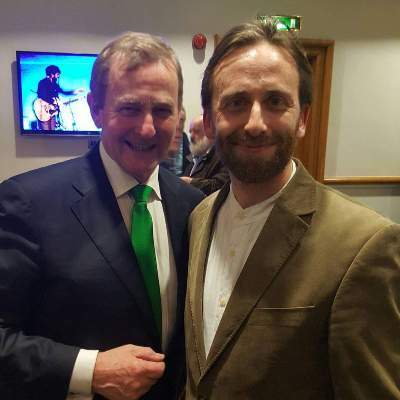 As part of the 1916 Centenary Celebrations, Conor was among the guests at a State Reception at Dublin Castle, and met the Taoiseach, Enda Kenny and President of Ireland, Michael D Higgins. 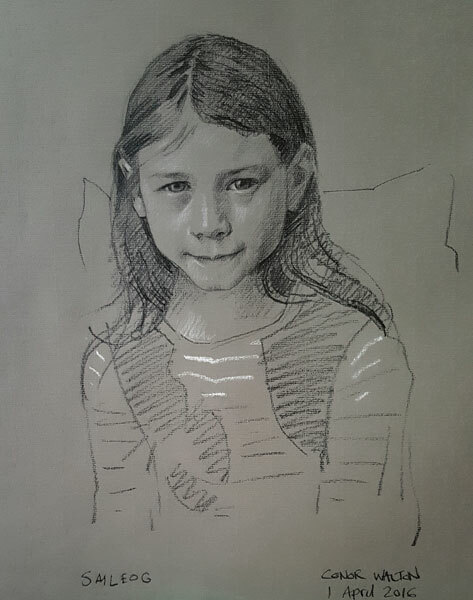 Conor spent three days drawing 22 half-hour portraits of children in The Ark, as part of their 'Put Yourself in the Picture' celebration of children's portraiture. The Ark is a cultural centre for children in Temple Bar in the historic heart of Dublin. 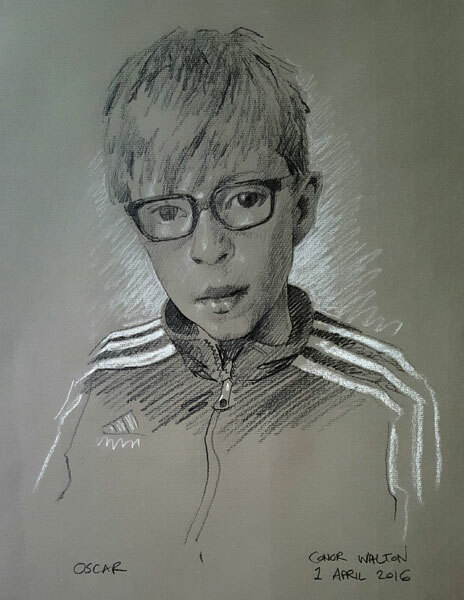 'Put Yourself in the Picture' was conceived by Visual Arts Directer Aideen Lynch as their response to the Easter 1916 Centenary celebrations, where children make portraits of themselves and each other, and are joined by some of Ireland's leading portrait artists (Una Sealy, Blaise Smith, Pj Lynch, Dorothy Smith, Brian Maguire and Conor Walton) to cover the walls and fill the building with portraits. The children receive copies of the artists' portraits, while the originals join The Ark's permanent collection. 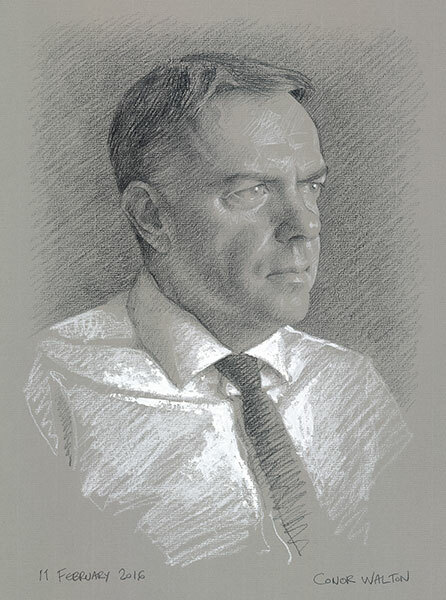 Conor Walton's portrait of Noel Curran, retiring Director General of RTÉ, is unveiled. 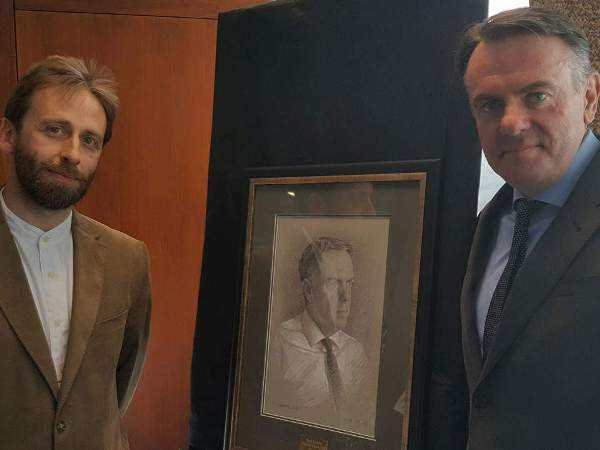 The portrait was drawn from life in a single sitting, and will hang in RTE's headquarters in Dublin. to the questions posed in the title of Paul Gauguin’s 1897 masterwork: “Where do we come from? What are we? Where are we going?” This is heady stuff, made palpable in Walton’s hands. study of past styles and iconography ultimately informed his own artistry. In the mid-1990s, Walton spent a year in the Florence atelier of Charles Cecil, an American who has sustained the techniques and worldview of the Old Masters. For the past two decades, Walton has been painting full-time in Ireland, and now lives south of Dublin. reveals that everything has been selected strategically for both intellectual impact and formal appeal. the well-being of the entire earth, so Zeus was compelled to slay him with a thunderbolt. 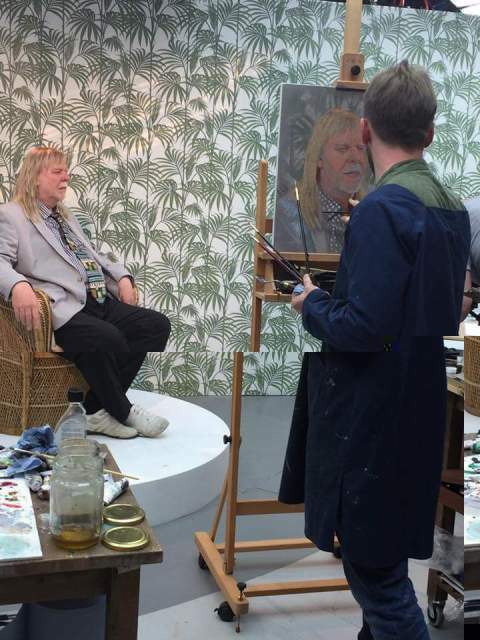 Episode 4 of Sky's 'Portrait Artists of the Year 2016', featuring Conor Walton as one of the contestants, will be broadcast on 21 February 2017 at 20.00 GMT. Further details will be revealed following broadcast. 'Personal Choice II' curated by Bernadette Madden, featuring new works by Eugene Conway, Joe Dunne RHA, James English RHA, Bernadette Madden, Jacqueline Stanley and Conor Walton. 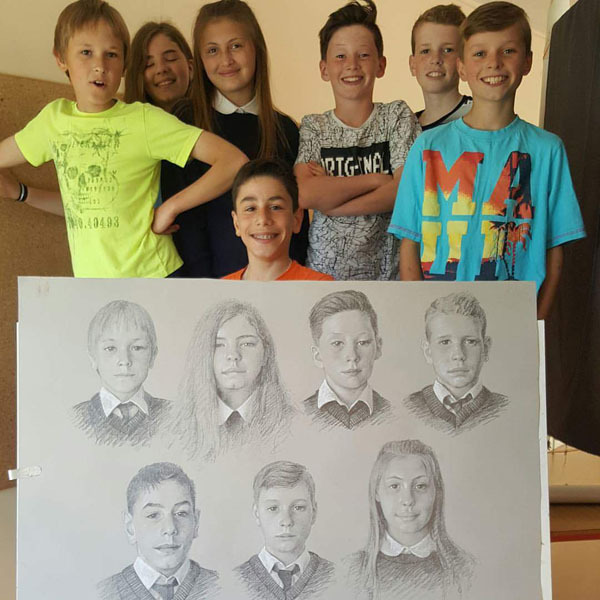 "Once again I've been back drawing the children at WMPS, and greatly enjoyed doing so. Thanks to the children for posing." 'Glow', featuring work by Conor Walton, opens at the Catherine Hammond Gallery in West Cork. "To visually echo the shift from late summer into autumn the gallery has commissioned a group of national artists to explore and interpret the idea and theme of 'Glow'." Tom Climent, Eamon Colman, William Crozier, Neal Greig, Eilis O'Connell, Peter Martin, James McCreary, Michael Ray, Conor Walton. 'The highlight of the show is, for this viewer, the opposition between Walton’s Burning and Climent’s The Heart Holds I & II, The Heart Waits and Arandell. The two artists, from younger and older generations respectively, come from opposite ends of the painting spectrum. 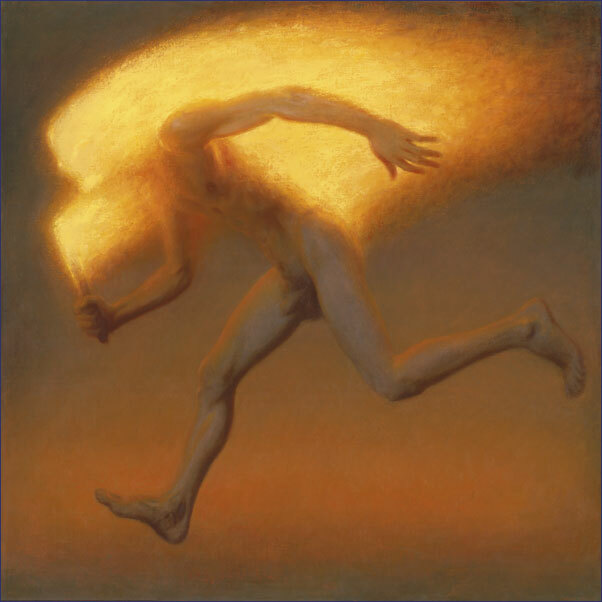 Where Climent has developed a compositional language over many years, based on the tenets of high modernism, Walton has emerged over recent years, under the influence of the anti-modernist Odd Nerdrum, as well as in response to contemporary photo-realist and post-modern trends. It is perhaps ironic, then, to find that their works compliment each other so well. Both artists share a sense of graphic precision and restraint, in combination with a preference for high-key colour. Both are sensitive craftsmen, and gifted practitioners in oil. Burning is beautifully composed and it is enjoyable to see the diamond-matrix pencil lines visible through the painting. Walton’s geometric under-pinning provides further synergy with Climent’s crisp, rhomboidal compositions. 'Curated by Maureen O’Sulllivan, this is a very reflective and intelligent selection of work, arranged to make best use of the bright, naturally-lit space. 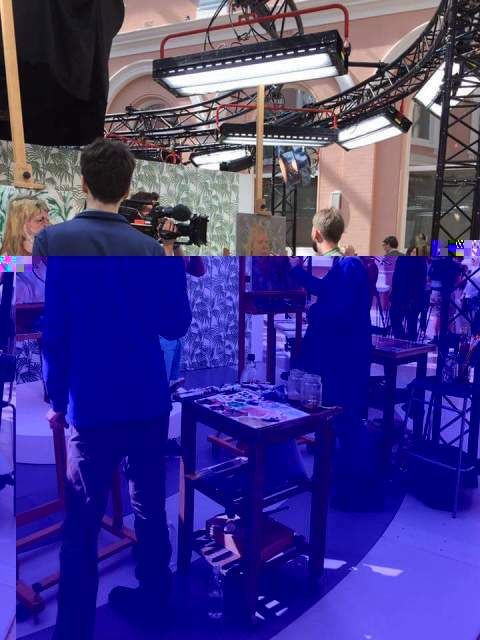 The challenge of demonstrating a consistent theme across a group show, without ascribing excessive meaning or interpretation, is well achieved. 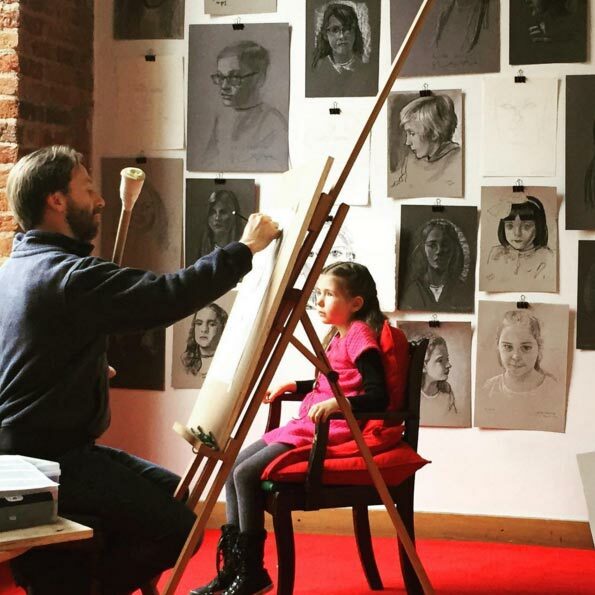 Conor, along with several leading Irish artists and academicians including Colin Martin, Blaise Smith, Una Sealy, James Hanley and Sahoko Blake, have joined forces to teach a course on drawing. 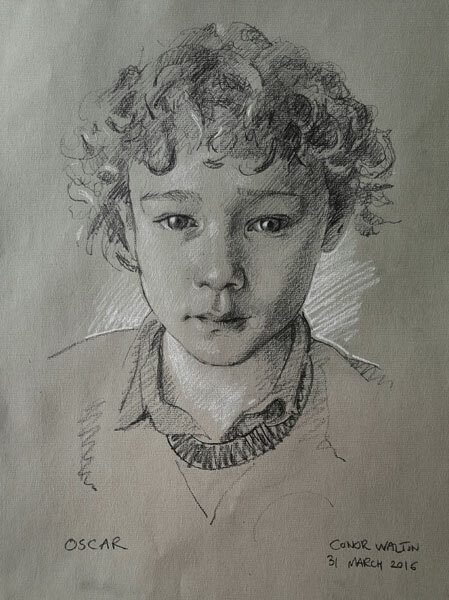 "This 15 week part time drawing course provides a skill-based approach to the development of individual drawing practice, providing the basic technical, material and observational skills for drawing. 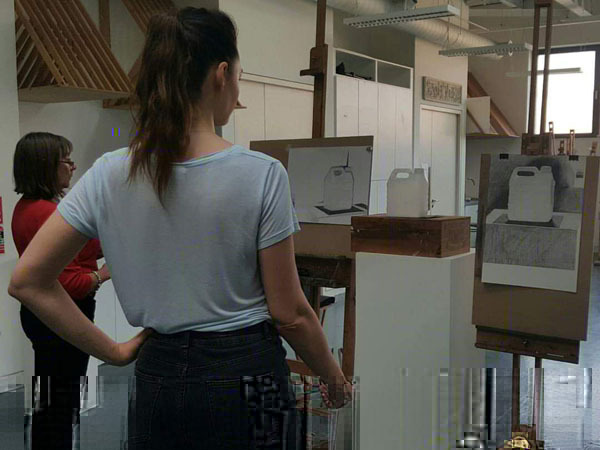 The course covers traditional and contemporary approaches to drawing and the content will range from sight size observation, spatial organisation to in depth anatomical study. The course is facilitated by experienced tutors and students will receive written feedback on course completion. 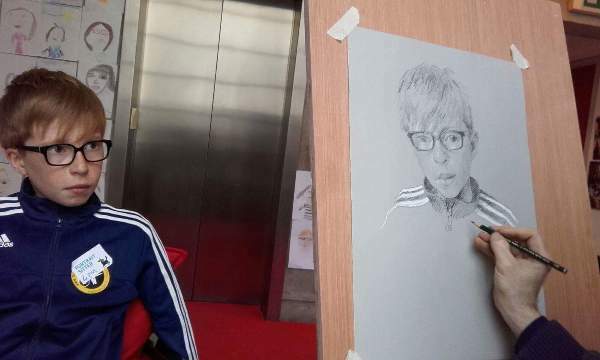 Students who would benefit from this course are artists who wish to develop traditional drawing skills or up-skill as well as students who wish to develop the fundamental skills for drawing practice." 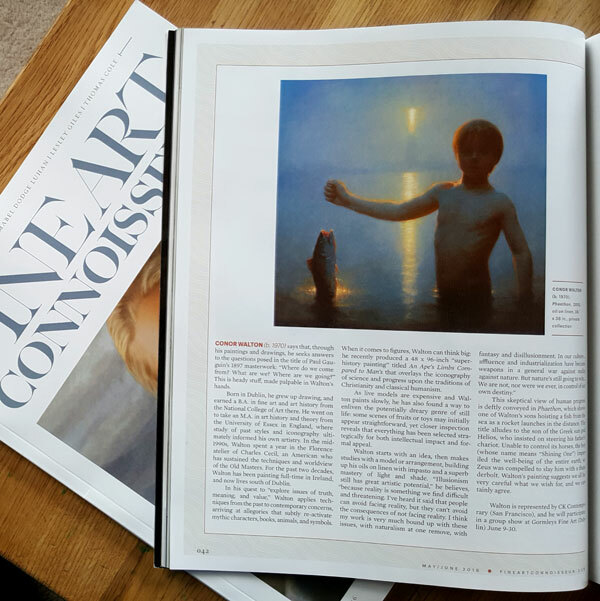 Greenacres Gallery once again hosted an exhibition featuring the best of Irish art to coincide with the Wexford Opera Festival, a major event in the international opera calendar. Several of Conor Walton's paintings featured prominently, including 'Venus Hibernica' and 'An Ape's Limbs compared to Man's'. 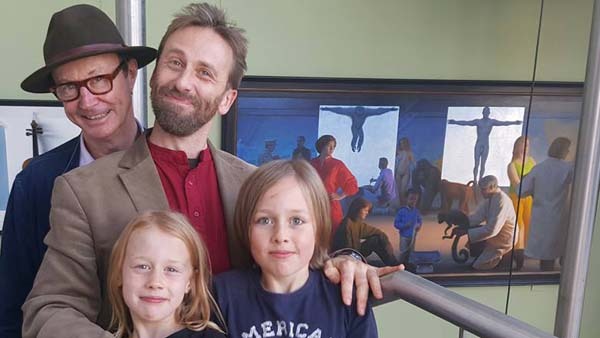 The Exhibition was opened by Mick O'Dea, President of the Royal Hibernian Academy, pictured here with Conor and two of his children, Caoimhe and Ciarán.